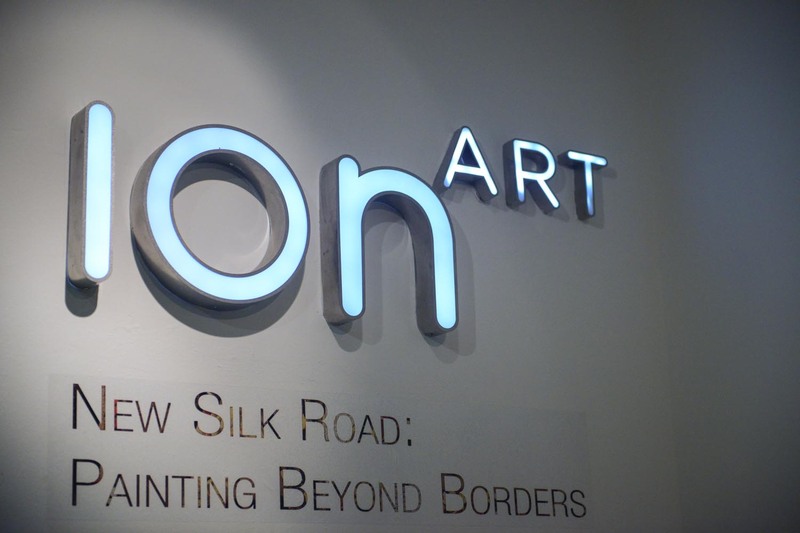 SINGAPORE – “New Silk Roads: Painting Beyond Borders,” the first exhibition of Central Asian artists, was showcased April 21 in Icon Gallery here. 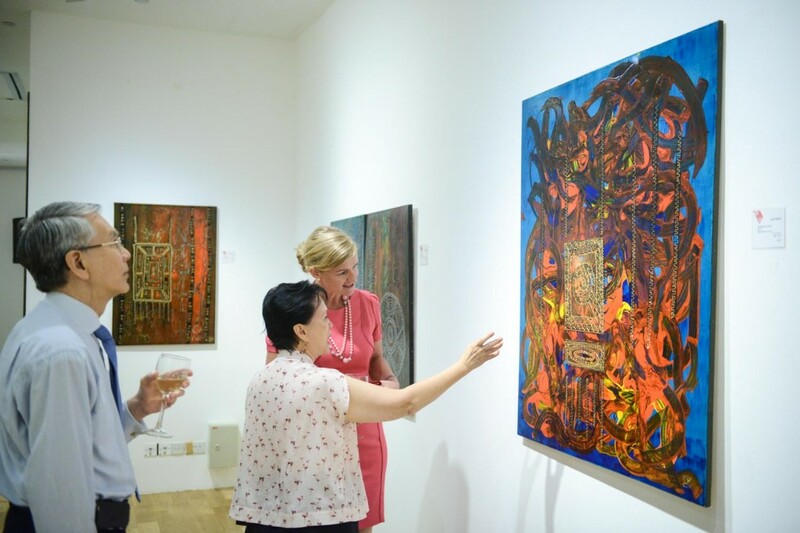 The event was organised by ENE Central Asian Arts with the support of the Kazakh Embassy in Singapore and Lassale Singapore University of Art. The exhibition showed 37 works, including those of artists from Kazakhstan, Turkmenistan and Uzbekistan. Paintings and abstract compositions by Central Asian artists generated great interest among the many visitors. Kazakhstan demonstrated paintings of the Amulet series by the nation’s renowned artist Leyla Mahat. In her works, Mahat tells about the role of amulets in the daily life of nomads, which were used not only as decoration but also as charms from the evil eye. Amulet paintings recreate ancient jewellery uncovered in archaeological excavations and reconstructed by Kazakh scientists and her images relive the work of archaeologist Zeinolla Samashev. Artist, archaeologist and artisan are all connected through the materiality of the gold ornaments and their contemporary artistic representations, as well as by the land once inhabited by the ancient peoples which now forms their burial place and the physical basis of the modern state. The choice of depicting jewellery, the wearing of which was an aristocratic prerogative, is also suggestive of the lineage which the artist claims as validation for the modern state. The appeals to the forces of history and heredity are perhaps nowhere better illustrated than in “Amulet and Colour” (2014), where their potency seems to glow red-hot, their vividness embodying itself in the profuse viscosity of paint, tactile and Medusa-like in its writhing. According to the organisers, such exhibitions in general allow representatives of Central Asian countries not only to learn more about the historical values of each other, but in particular help to strengthen ties between Kazakhstan and Singapore. . . .